Aqua Velva is one of my favorite after shave lotions. I really like the scent, it has great skin properties too. It leaves the skin really smooth. It's a lotion I could use almost exclusively but I enjoy variety. An affordable widely available product that I really enjoy using. The only negative I can think of is that it lasts about 30 minutes on me, but it's an after shave not a EdT or a Cologne. The versions I've tried are the American and the European. I slightly prefer the American, I think it's a bit cooler. Another difference that doesn't affect the properties of the lotion is the color, the American version has a deeper blue color. The shatter-proof bottle has a nice shape and a vintage look that I really like. The glass bottle of the European is also nice. I believe the scents of these two are pretty similar. A version I haven't tried, but I will buy it soon, and read great things about, is the Spanish. Do you detect any differences between the versions of Aqua Velva? If so, which one do you prefer? I look forward to seeing what everyone has to say because I've been eyeing the Euro Aqua Velva for the last few days. I used my grandfather aqua velva this past weekend and was very pleased with it and how it performed; it lasted on me for what seemed like well over an hour and a few hours after that I could still faintly smell it on my hands. I am interested in all the differences too. I use it almost daily. The US version is all I've ever tried. I will even go so far as to mix some with other aftershave in various proportions. I like the alcohol in it and the feedback from the sting if I have any irritation. Scent doesn't last long for me. I have a vintage bottle I got off eBay earlier this year I've yet to open. Might crack at it soon. I have a spray bottle from Italian Barber or Mama Bear's that I pour my Aqua Velva into. I have a certain number of squirts I use and it keeps it from spilling everywhere and leaving blue spots on the sink. Lol. What do the American and European ones smell like? They are different versions of Ice Blue. The same with the Spanish. Here is the Spanish version. The glass bottle is pretty awesome, it has a very nice vintage look that I like. The scent is identical to the European I think, but I have to use it to confirm that. Yes, the spanish version is the same than the european, only different bottle. I love Aqua Velva ... Whenever I use it, I wonder why I ever use anything else? 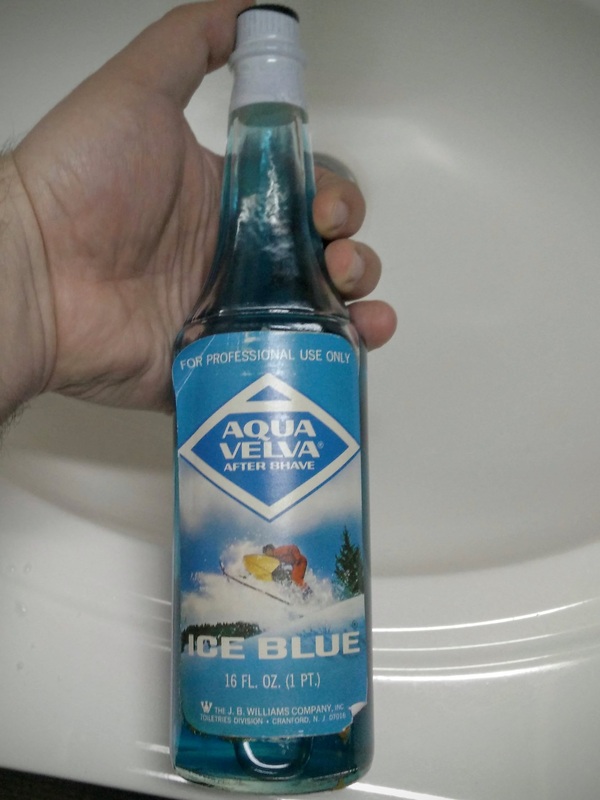 Never tried other versions of the blue, but I do have a small bottle of Ice Sport from many years ago .. I didn't realize it could still be had, so i'll have to pick some up! Great stuff! That vintage barbers above is the BEST AV I have used and I have used the European versions, US and vintage US -- that large bottle is more freezing and just smells amazing! I grabbed two bottles and use it almost daily! Love AV!!! I have the AV ice blue. Great stuff! I added a couple menthol crystals to kick it up a notch. Use it weekly. I recently purchased the Spanish AV, and love it. It's not as harsh, or bracing as I expected it to be, and reading the ingredient list, I'm surprised at some of the healing properties in it. I've read that the Spanish/European versions of AV is not as bracing and strong as the US versions. I haven't had the chance to try the US version of AV, but I'd like to try the Musk version. Lately I am using the Aqua Velva more often than any other lotion. I really like the scent, it's very pleasant. It always reminds me of my first days in this hobby. A true classic. It does the job really well. It's dirty cheap and can be found easily. What else do I need? Aqua Velva Blue and Mennen Skin Bracer have been used in my family since the 1940's. Two of my all time favorites. Bought a bottle of AV in Europe in 2013 and blew thru it. After that I began using it again, even like the shave cream. Looking at posts above I’ll get the green one too. Musk is very good too- same face feel as blue for me. (12-29-2017, 06:40 AM)Deuce Wrote: Bought a bottle of AV in Europe in 2013 and blew thru it. After that I began using it again, even like the shave cream. Looking at posts above I’ll get the green one too. Musk is very good too- same face feel as blue for me. Did not know they made a shave cream. There is a Williams shaving cream, it's not a specific AV cream. I can't recall the scent, I purchased it 10 years ago in Amsterdam. Just recently started to re-acquaint myself with drugstore aftershaves (here in the U.S.). Was disappointed to see that so many are in plastic bottles. 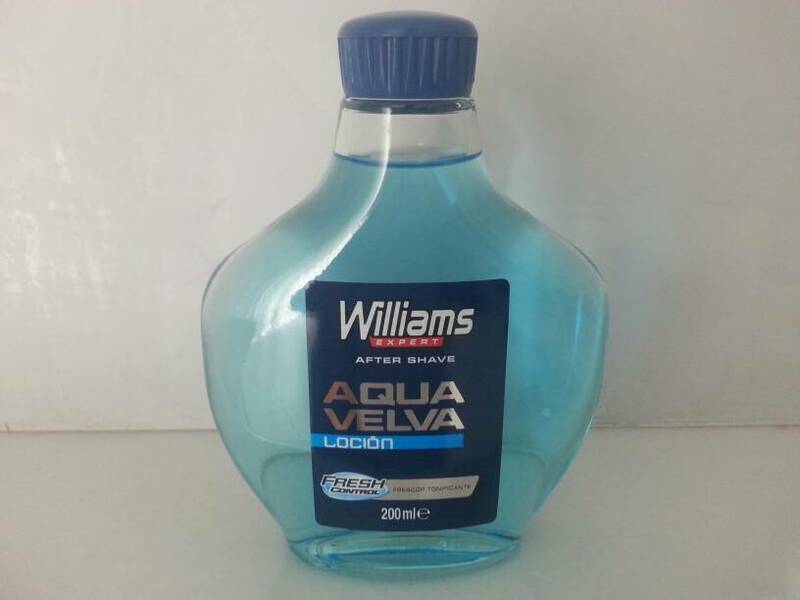 Of those sold in plastic, Aqua Velva is the one that I and my wife (important) like the most. Other aftershaves in plastic (e.g., Skin Bracer, Barbasol Brisk, Pinaud Clubman) -- I really tried to like them, but ... no joy. I was pleased to find the Spanish version (in glass bottle) of Aqua Velva online at Smallflower. Just ordered me some -- should arrive within two weeks. 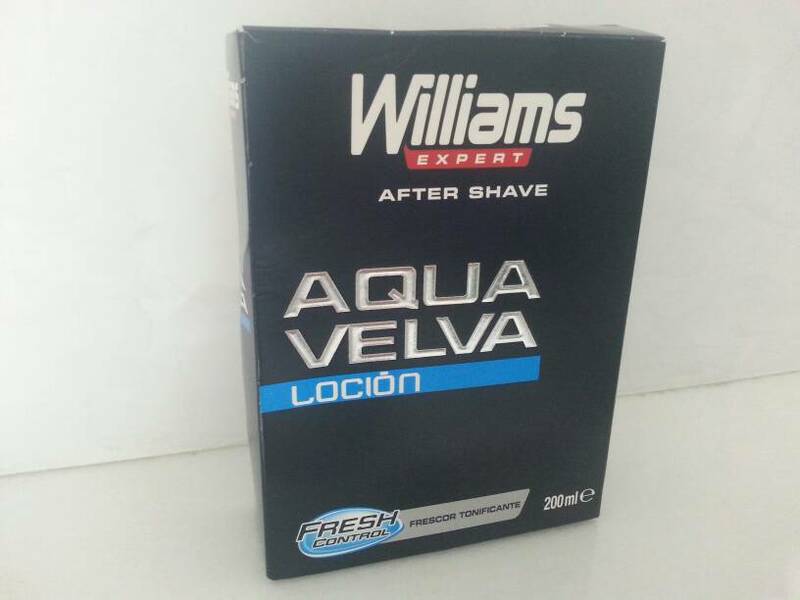 Will later post my opinion of the difference between the U.S. and Spanish versions of Aqua Velva. I also plan to decant my U.S. version of Aqua Velva into a glass bottle, as glass keeps chemical properties of liquid longer that plastic does. Because the U.S. Aqua Velva is so inexpensive, I use it frequently throughout the day just as a freshener, since my skin is on the oily side. If the Spanish version is nice, I would imagine that I would use it less frequently, primarily only after wet shaving, since being in glass and shipping from Europe makes it more expensive.